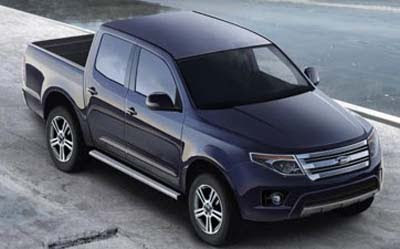 Could there be, finally, a new Ranger pick-up around the corner. This illustration shows us what it could look like. Nothing special. But the next Ranger might be targeted more for other markets than the US. Just like the new VW Amarok. 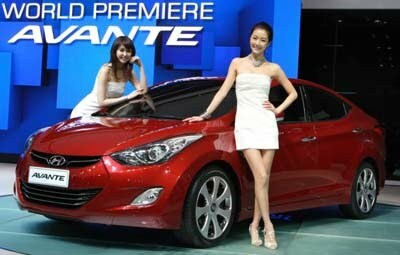 Which will become the new Elantra overseas. 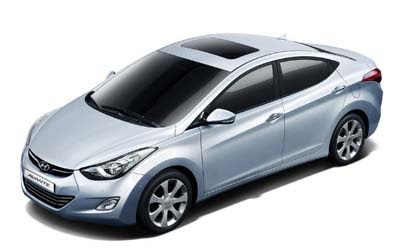 And again, a really good looking a modern sedan from Hyundai. 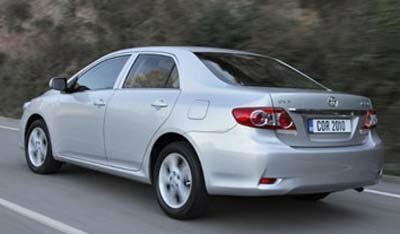 Amazing to see the difference with the 2011 Corolla I posted yesterday. 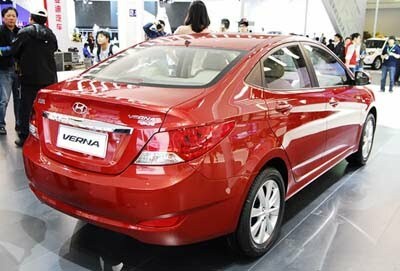 More on the new Elantra very soon. 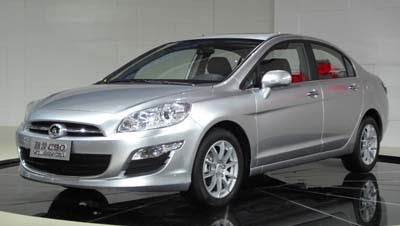 These pictures are of the newly released 2010 European model. 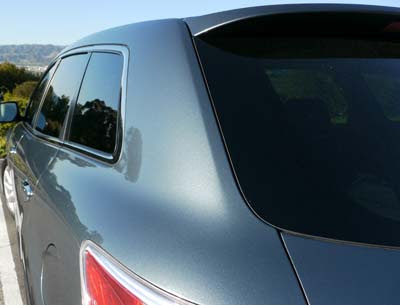 We should be getting these changes for the 2011 model year in the US. 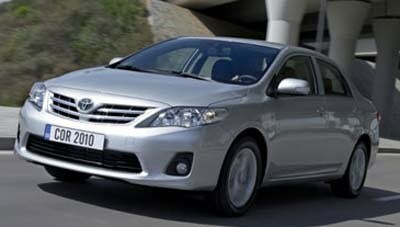 It looks like Toyota has accomplished quite a feast in making the Corolla even more boring than before. I guess they have now cornered the market for the invisible sedan segment. Their reputation not being what it used to be, I really don't see the point of this. Anything else looks better and more attractive. 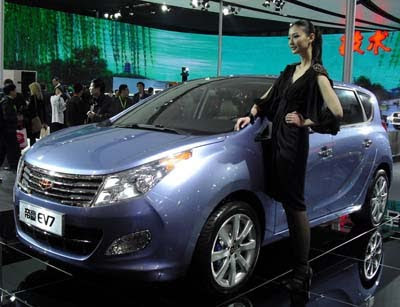 Some Chinese cars actually look decent. 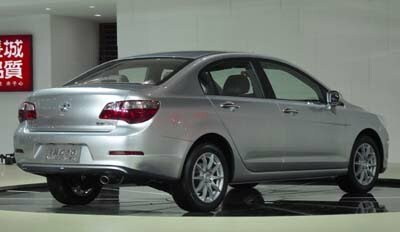 I think this new compact sedan from Greatwall is one of them. They do need to find another name if they want to start exporting these. It just doesn't sound like a car name. I am the lucky driver of a G37 Convertible for a week. BMW is hard at work on a smaller car than the 1 series. Which itself is being redesigned for next year. That still sounds crazy to me. 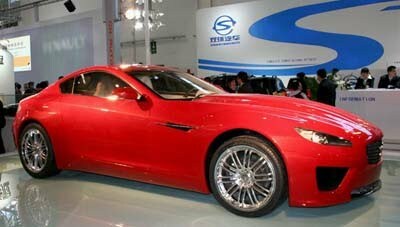 Rumors even claim it might be using the 1.6 Liter from the Mini. Why even make the Mini? It was spotted in the US recently. 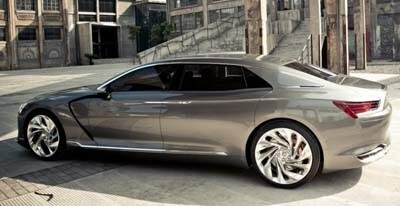 More picture of the all new Citroen Concept. 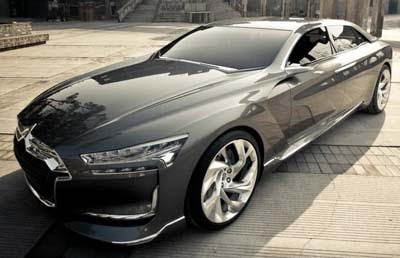 It seems that whatever makes a Citroen a Citroen is missing. Not sure what it is. Maybe the fastback from the DS, CX and even the current C6. 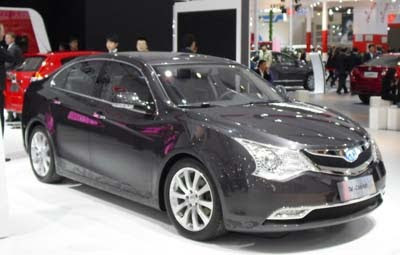 New Infiniti DX based on next Mercdes B Class??? That is a new rumor from France. Nissan would use the redesigned B Class for a small Infiniti Crossover called the DX. It does sound crazy at first. 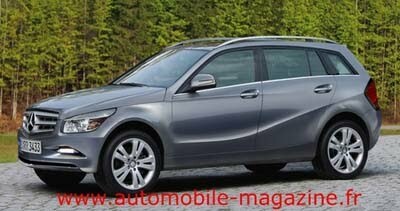 The current B Class uses a bunch of small 4 cylinder engines and some diesels. But it also makes sense. 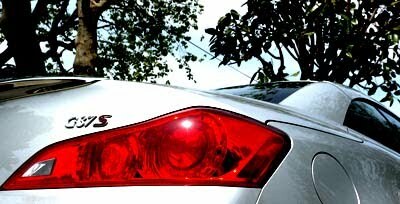 Infinitis usually get terrible mileage from their big 3.7 Liter engine. And new regulations will be very tough on them. They do need to use more efficient engines, soon. 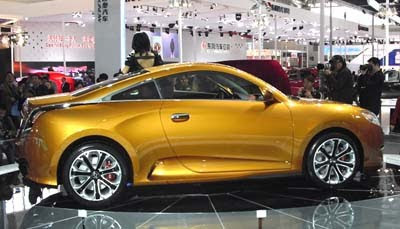 The 1st step is the upcoming 2.5 Liter version of the G sedan. I guess the DX is next. I just hope the B class doesn't end up looking like this horrible illustration above. So far just another illustration. 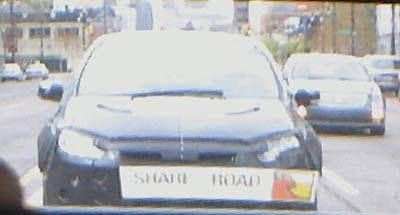 But it does match most spy shots we've seen of the car over the past couple of years. 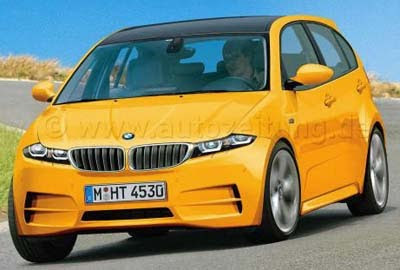 The new 6 should turn out to be one of the best looking BMW ever. The current model still has quite a presence on the road. 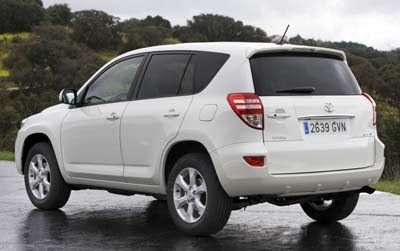 These are more pictures of the recently released European version of the RAV4. 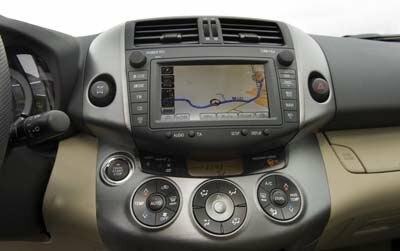 Which should be what we'll see over here for the 2011 model year. 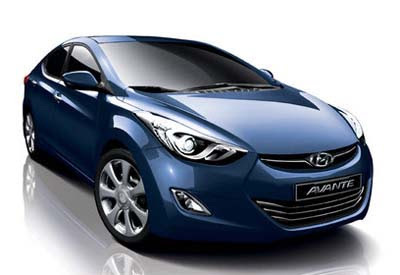 After 5 years in production, the current model only gets a new front end. I really don't think this will be enough against brand new competition from models like the new Kia Sportage and Hyundai Tucson. After 5 years, it's time for something really new. 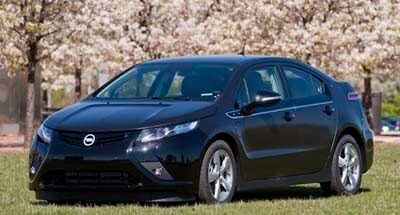 A.K.A "The Volt with an Opel front end". 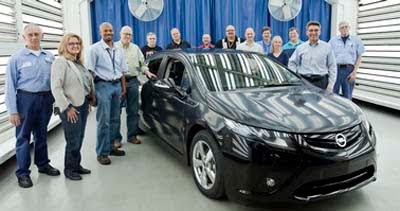 Just like the Volt, the Ampera has entered the pre-production phase. Both cars are built in the US in the same factory. 2.7 Liter Toyota FJ Cruiser? 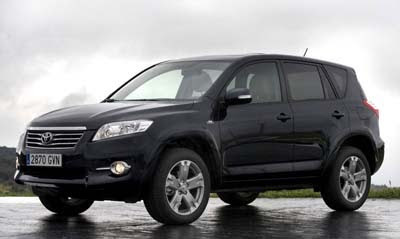 For the 2011 model year, Toyota will start offering the 2.7 Liter engine from the Highlander. It would be a smart move. 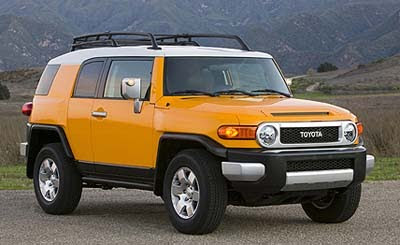 And could only improve the terrible mileage figures the FJ currently get with its big 4.0 Liter V6. The 2.7 Liter produces 187hp in the Highlander. Pretty much what is expected. And still looking great. This could turn out to be one of the best looking Saab ever. This is pretty much what our 2011 Accent sedan will look like. 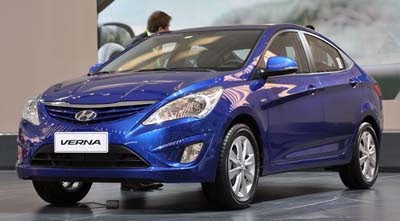 As good as it is, it will face the new Fiesta as well as an all new Aveo when it comes out in the US. 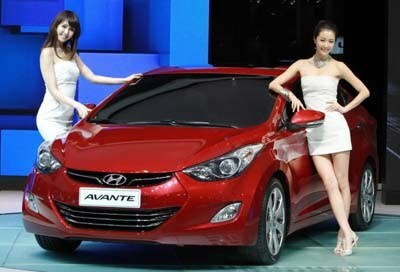 Who would have thought that Chevrolet, Ford and Hyundai would battle it out for the best sub compact sedan. 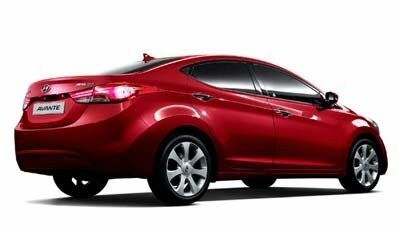 And this will also be the base for an all new Kia Rio next year. 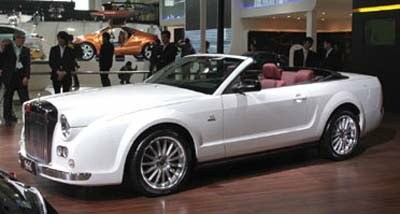 The small Japanese manufacturer Mitsuoka used to turn Japanese cars like the Nissan Micra into a wannabe Jaguar. 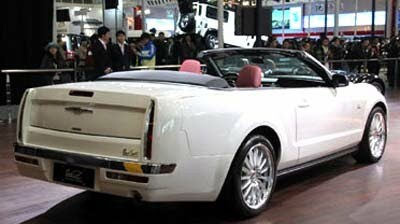 Now they are using the Ford Mustang and turn it into some Bentley/Cadillac monstrosity. One of the craziest design I have ever seen. They all look familiar don't they. Even though we've never seen them. But we've all seen the cars that inspired them before. 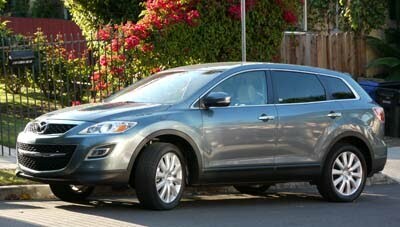 I think the CX-9 is one of the best looking Crossover/SUV/Wagon/Whateveryouwannacallit out there. 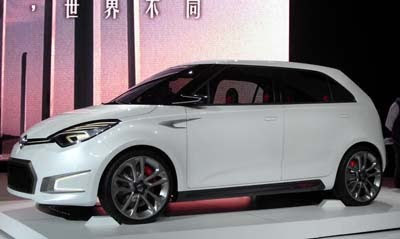 It does look like a larger CX-7. Which is a good thing. It is modern and luxurious looking at the same time. 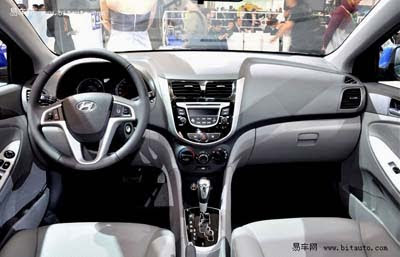 The same goes for the interior. It looks great from every angle. My test model was the loaded Grand Touring version. 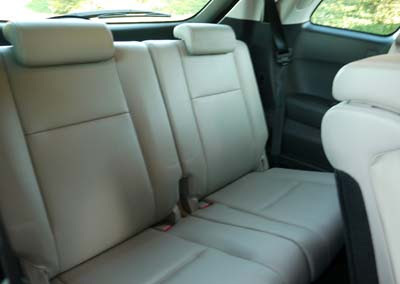 Which includes a high quality leather interior. And pretty much everything you can imagine getting in a car these days. It did have a DVD player for the "kids in the back". I would rather have a sunroof myself. The 11 speaker Bose system sounded great. 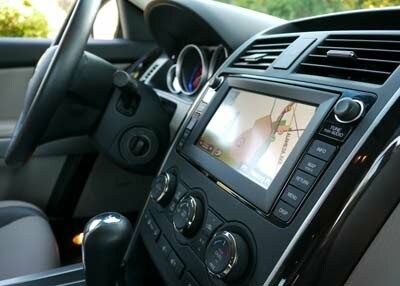 But I found the resolution on the Navigation screen a bit on the low side. The car has a very open feel to it. You see everything from the driver's seat. Everything you touch feels high quality and solid. There is plenty of room in the 2nd row. 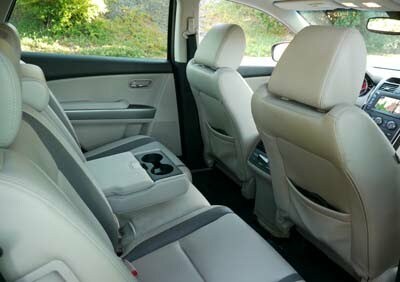 And the seats are very comfortable. Even the 3rd row is OK. It's actually perfect for younger kids. 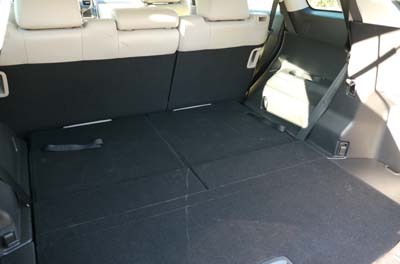 The trunk is pretty huge with the 3rd row flat. And still fine when 7 are on board. You can literally sleep in it if you fold everything flat. 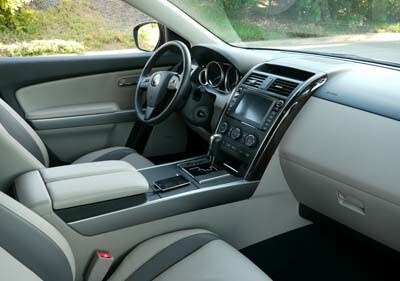 The ride is very comfortable. Yet, just a bit firm, so it never feels too soft. The car is very quiet all the time, and there is basically no road noise. Being a family car, the steering is on the soft side. But it is always very precise. It is a very easy car to drive. Even if you are aware of how large it is. Turning radius is also really good. 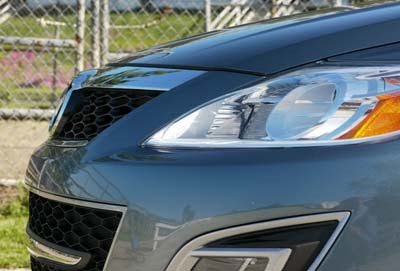 With 273hp, there is never any need for more power. Even in my AWD test car. The engine is extremely smooth and quiet. Adding to the luxurious feel of the car. It is about perfect for this car. I cannot wait to try this engine in other cars. Like the Taurus and Mustang. It is rated at 15 City and 21 HWY. I did get about 15 in strictly city driving, but got a bit over 26 on the freeway. Cruising at around 70mph. Which is really good, I think. Considering this can carry 7 humans comfortably. 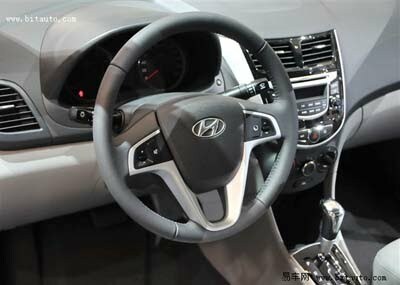 The 6 speed auto is as smooth as the 3.7 Liter V6 engine it is matted to. This is really a perfect combo. Always smooth, and actually ready to downshift. 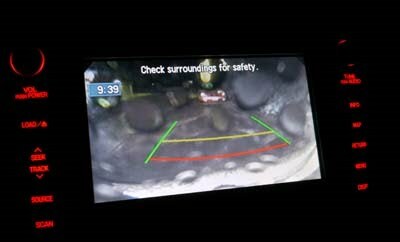 On a rainy day, it becomes really hard to see what's going on through the back up camera. Rain drops fill up the small lens and distort the whole view. The camera should be positioned somewhere else. I would not hesitate to recommend the Mazda CX-9 to anyone who needs space, for people or things, and doesn't want to drive a Minivan. It drives like a luxury car, and does have almost as much room as a Minivan. Plus, it looks great, inside and out. 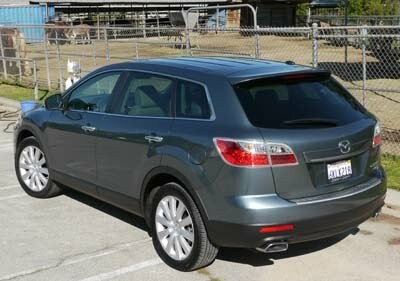 My loaded Grand Touring AWD model was about $40 000. Which is expensive. But pretty much what you'd pay for a similarly equipped Minivan. If you can do without AWD, the Grand Touring model starts at about $33000. And places like carsdirect usually have them for $3000 under. A great car for a very good price. After driving this for a week, I am left wondering why anyone would get a Minivan. All new Porsche Cayenne: 15% Hybrids. Fiat 500 in the US. Lexus GX 460: "Do not buy".